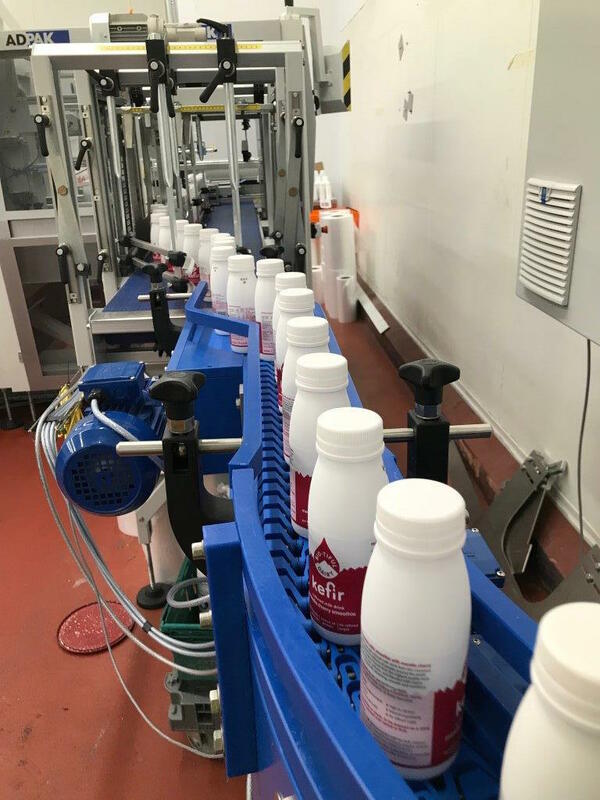 As demand on the new line increased the step to automate was reached and BV Dairy consulted UPM Conveyors to design a system to transfer bottles through each process stage from the filling in a high care area to capping, metal detection, labelling, and finally to pack flow wrapping and palletising. UPM used 3D solid modelling design software to create a 3D digital protype using the design visualisation and simulation of product to ensure efficient product flow through the high care area and to packing. UPM liaised with all the main equipment suppliers to integrate the conveyors which involved testing the system at UPM prior to installation as it was necessary to affect the side transfer of product from each section of the system to ensure the elimination of any potential jamming and product damage.